World Projects is committed to giving back to the music community at local, regional, state, national and international levels. We believe that giving back can be done in a many ways including direct donations or sponsorships, securing donations from vendors in our industry to assist groups with their fundraising efforts, and providing travel scholarships to young musicians in financial need are some of the ways that World Projects actively gives back to the music community. All of our “Give Back” initiatives focus on supporting student musicians, music educators, or the general advancement of music education as well as the creation of new music around the globe. 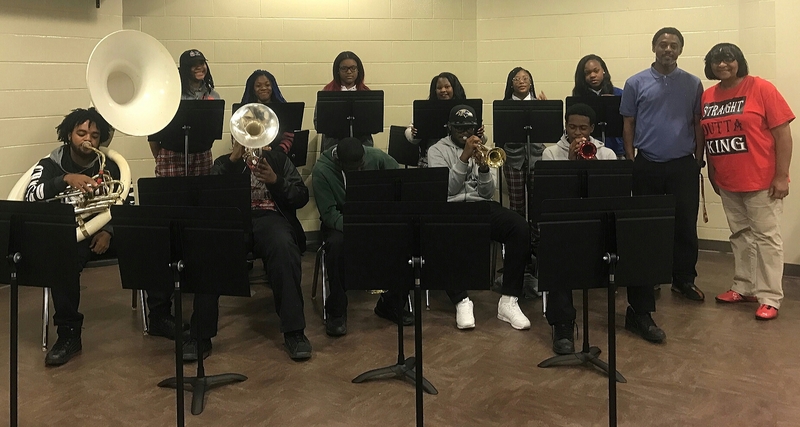 Dr. King Charter School and King High School’s music programs in New Orleans receive 42 brand new music stands! Dr. King Charter School and King High School have ALWAYS welcomed music groups traveling to New Orleans and have been wonderful hosts and enthusiastic audiences for World Projects groups over the years. Located in the Lower Ninth Ward of New Orleans, and led by principals Dr. Doris Roche’-Hicks and Dr. Lindsey Moore, choral instructor Yvonne Hitts, and band director Charles Brooks, the Dr. King Charter School and King High School has an enrollment of over 800 students from throughout New Orleans in grades pre-K to 12. The 1st school to open in the Lower Ninth Ward after Hurricane Katrina, the Dr. King Charter School and King High School are nationally-recognized for the quality of education provided for their students and community. “Be Our Guest at Midwest” in partnership with Be Part of the MusicAs a special way of saying “Thank you” to all of the music educators World Projects and Be Part of the Music have teamed up to sponsor a number of music educators’ trip expenses to take part in the 2018 Midwest Clinic.